Sleep apnea is a serious health disorder characterized by pauses in breathing, or periods of shallow breathing while asleep. These pauses can last a few seconds to a minute, and can repeat hundreds of times a night. The body, sensing the oxygen deprivation, forcefully reacts to restart the breathing in the form of a gasp or a snort. This response causes a disruption in normal sleep patterns. Two forms of sleep apnea exist, central and obstructive. Central Sleep Apnea is a neurologic disorder in which the body forgets to breath. Obstructive Sleep Apnea (OSA) is when the tongue, neck, or soft palate block the airway and prevent the body from drawing a breath. What are the health risks associated with untreated Sleep Apnea? How is snoring related to Sleep Apnea? Snoring is often the most noticeable symptom associated with obstructive sleep apnea. Snoring can affect sleep patterns of yourself and your spouse. Snoring is caused by a partial blockage of the airway during sleep. Generally this blockage is caused by a change of position of the lower jaw, tongue, and throat while sleeping. Studies show that greater than half of people that snore loudly have obstructive sleep apnea. How does Sleep Apnea affect sleep? Each time your body has to gasp or snort to stimulate your breathing, you awaken slightly. When this occurs multiple times an hour, your body is unable to enter the deeper levels of sleep needed for a full recuperation. A lack of normal sleep cycles will lead to daytime fatigue, depression, and exacerbation of the health risks listed above. How do we screen for Sleep Apnea? We initially screen for sleep apnea but getting a detailed medical history and looking for common symptoms and risks. There are also some signs that can be detected during a comprehensive oral exam. If we are concerned with our risk we will have you fill out a OSA risk assessment questionnaire. Sleep apnea can only be diagnosed by a physician that specializes in sleep medicine. If the screening questionnaire indicates a high risk of OSA you will be referred to either a local sleep clinic or for an in home sleep test. What is the difference between an in home sleep test and an in office sleep test? We will evaluate your overall health and risk of OSA before deciding on which sleep test to prescribe. With an in home test, the equipment is sent straight to your front door. You will follow the instructions provided and wear the monitoring device for 2-3 nights. The equipment is then sent back to the company and a sleep specialist evaluates the results. An in office test is done locally at a specialized sleep clinic. In this setting your will spend a night while specialists monitor up to twenty different vital signs. The in home study is generally considered more convenient and less expensive than the sleep clinic test. The down side of the in home test is that it provides less information than the in clinic test. We will evaluate your overall health and risk of OSA before deciding on which sleep test to prescribe. Your medical insurance may require a specific type but this can be determined beforehand. The treatment options depend on the diagnosis. CPAP is the gold standard of treatment for sleep apnea and the only option for those diagnosed with central sleep apnea. CPAP involves wearing a nasal mask attached to a pump, that ensures constant airflow to the lungs. Those diagnosed with obstructive sleep apnea also have the option of Continuous Open Airway Therapy (COAT), which is explained below. In some cases surgery may be needed, but this is usually limited to those that do not respond to other therapies or adolescents with obstructive sleep apnea. COAT is a therapy in which a custom oral appliance is made that acts to reposition the lower jaw forward. This appliance is worn at night and acts to prevent the bottom jaw, tongue, and neck from collapsing the airway. What is the advantage of an oral appliance? The oral appliance is smaller, easier to travel with and usually better tolerated by patients than CPAP therapy. The effectiveness in patients diagnosed with mild or moderate OSA has been shown to be equivalent between CPAP and COAT. Are you a candidate for an oral appliance? This is ultimately a discussion for you to have with your sleep specialist. They will make the correct diagnosis based on all the information they have. 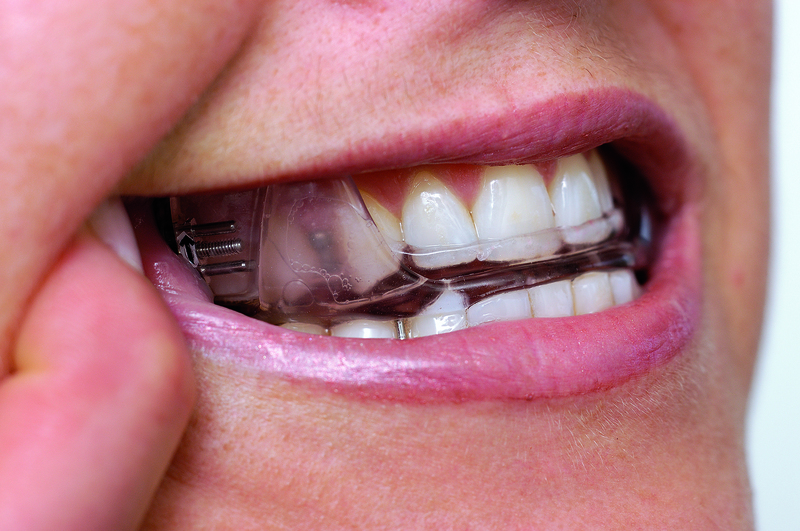 Oral appliance therapy is most effective in those with mild or moderate OSA. It does not treat people with central sleep apnea. You may also be a candidate if you have previously tried CPAP therapy for OSA and were unable to tolerate it. Are oral appliances covered by medical insurance? Most medical insurances will cover a large portion of an oral appliance after a diagnosis of OSA. We will pre-authorize this with your insurance before proceeding with treatment. This pre-authorization will tell you critical points like benefits, copays, and deductibles. The financial part will be handled prior to commitment to the treatment so that there will be no surprises. What are the risks of an oral appliance? The most common risks are that the appliance may not work for all patients with OSA and CPAP therapy or Airway surgery may still be needed. Some patients report changes in their bite after multiple years of treatment. Patients with existing TMJ disorders may exacerbate these symptoms. A thorough consent form will be given to you before beginning treatment which will give you a more detailed explanation of the risks. Please contact us if you have any questions regarding oral appliance therapy (OAT).